Democracy Now! 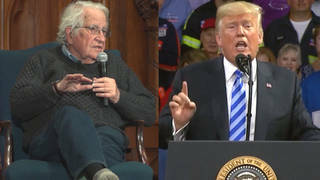 Recognized by Society for Professional Journalists for Excellence in Broadcast Television Breaking News | Democracy Now! Democracy Now! is the winner of the Society for Professional Journalists 2016 Sigma Delta Chi Award for Excellence in Broadcast Television Breaking News. 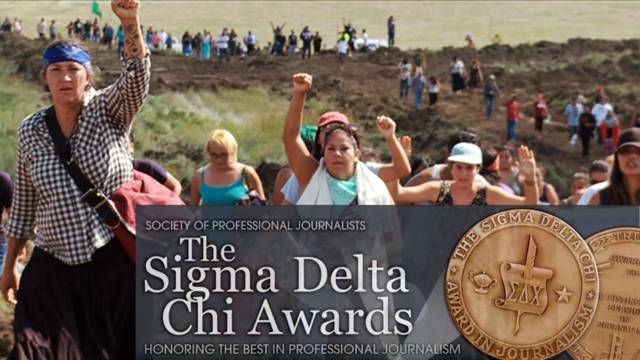 The Sigma Delta Chi Awards are some of the most prestigious awards in journalism. More than 80 awards recognize the best in professional journalism in categories covering print, television, newsletters, art/graphics, online and research. Democracy Now!’s coverage of the standoff at Standing Rock received the 2016 Award for Excellence in Television Breaking News Coverage (Network/Syndication), an award previously given to CBS Evening News with Scott Pelley, NBC News, and ABC News with Diane Sawyer, among others. Click here to read the Society for Professional Journalists full announcement.